A new report from the Department of Defense found that 73 percent of young adults in Kentucky aren’t qualified to serve in the military, mostly because they are overweight. That is the eighth highest ineligibility rate in the nation. Nearly one-third of all Americans ages 17 to 24 are too overweight for military service. In Kentucky, 33 percent of teens are overweight or obese, and 78 percent don’t get the recommended hour of exercise daily. This report documents the “staggering impact of obesity on America’s military” and has prompted more than 450 retired admirals and generals, many from Kentucky, to support the reauthorization of the Child Nutrition Act, commonly known as the Healthy Hunger-Free Kids Act, which is set to expire in September. As Congress prepares to reauthorize the program, it is certain that many will push for changes that address “inedible meals, food waste and misspent funds,” Julie Kelly and Jeff Stier report for the Wall Street Journal. 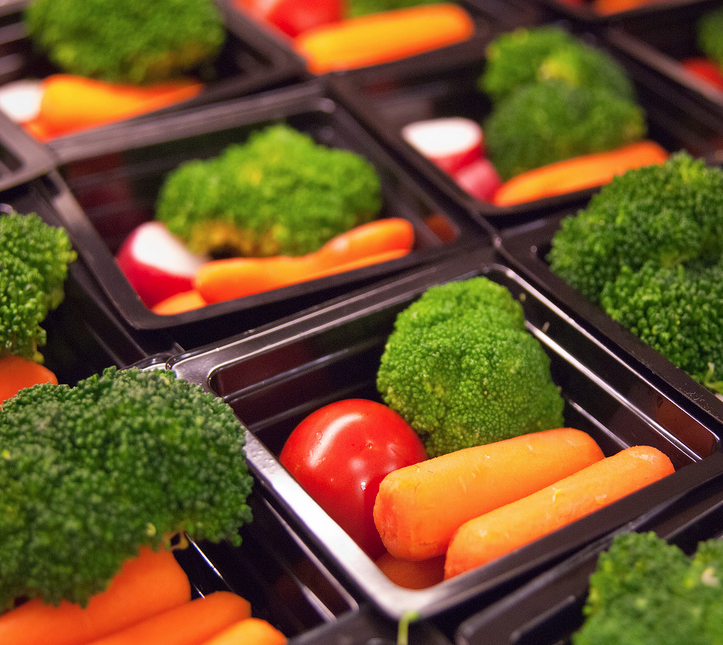 Many of the GOP lawmakers are backed by the School Nutrition Association, which is asking for changes, citing the increase in food waste and decline in student participation in the school-lunch program in the past three years, Lydia Wheeler and Kate Hardiman report for The Hill. SNA is asking Congress “to revert back to 2010 standards that require only half of all grains offered to be whole-grain rich, leave sodium levels where they are until research proves further reductions benefit children and do away with the requirement that forces kids to take the half cup of fruit and vegetables with every meal, since most students end up throwing them away,” The Hill reports. Advocates are urging constituents to call their representatives and tell them that the new nutrition standards are working, citing studies that say students are responding positively to the healthier lunches and are eating more fruits and vegetables and are wasting less since before the new nutrition standards were enacted, Chef Ann Cooper writes for U.S. News and World Report. 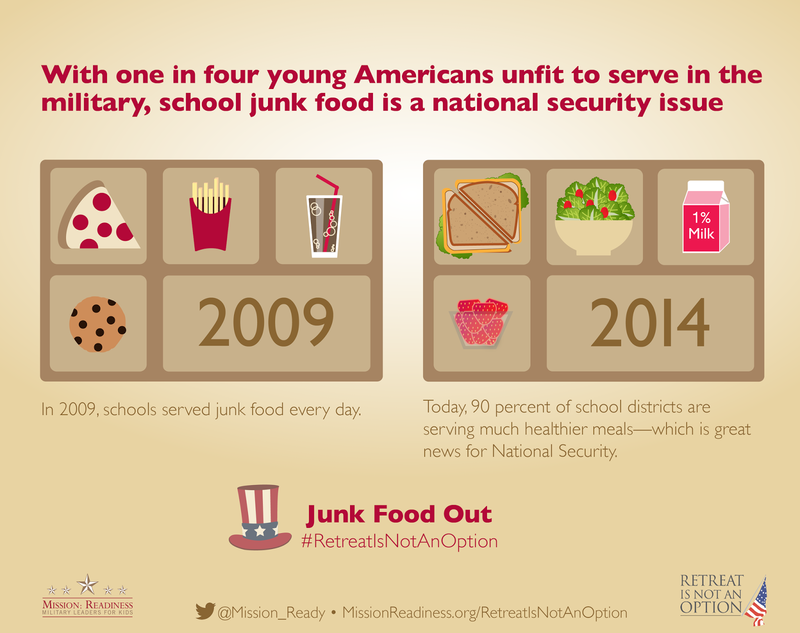 The military report included the same research support for the new school nutrition standards that Cooper included in her article, but also added a poll released last week by the Pew Charitable Trusts, Robert Wood Johnson Foundation and the American Heart Association that found 72 percent of parents nationwide favor updated nutritional standards for school meals and school snacks, while 91 percent favor requiring schools to serve fruits or vegetables with every meals. The report also provided the results from the Kids’ Safe and Healthful Foods Project poll that found 75 percent of Kentucky voters and 76 percent of public school parents support the new federal school nutrition guidelines. And roughly 70 percent support the higher nutrition standards placed on vending machines, snacks and a la carte menus. Melissa Patrick writes for Kentucky Health News, an independent news service of the Institute for Rural Journalism and Community Issues, based in the School of Journalism and Telecommunications at the University of Kentucky, with support from the Foundation for a Healthy Kentucky. Yes, obesity is a serious health issue but a more serious issue to getting individuals who can and will participate in the military is the betrayal of troops, military families and veterans by law makers. If young people have paid attention to the fact that the promises made to those serving our country have not only regularly been broken by members of Congress but on top of it they have disrespected those same troops and vets referring to them as lazy and selfish, there isn’t much incentive to signing up. When you expect people to place their lives on the line, your word had better be good, otherwise, what’s the point? Agreed. How many “good men” answered the call for the country only to wind up with PTSD and homeless? There are so many of them in almost every state in the country. And yet articles like this have the audacity to call obesity a recruiting issue. No, the issue is you’ve been lying to the recruits about the military making you a better person Tell that to the PTSD victims or spouses/parents whom have had loved ones commit suicide because the country gave them NO ASSISTANCE. I get being fat doesn’t help their physical health any but the alternative is to have your mental health screwed should you answer that ‘call to duty’. And no amount of dieting and fitness will ever undo that. If you think it’s just senseless venting just google it or youtube it if you want to see it in action.